As fun as it is to drive (and crash) video game cars, and as much as we love controlling video game characters and getting them to do our bidding, it all seems a little hollow. These cars and characters are, after all, just cartoons on a screen. We want the thrill of remotely controlling real-world stuff. 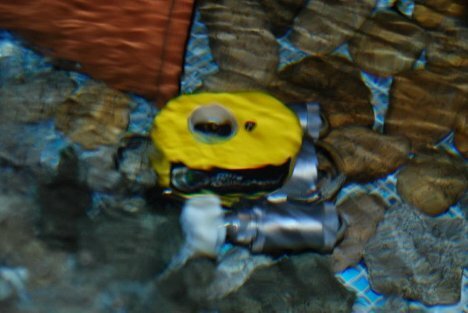 A company called Reach-In is letting us fulfill those weird ambitions by giving players real control of a real mini-submarine. Dive Commander is a (currently free) web-based game that lets regular people become mini-sub captains for two minutes at a time. 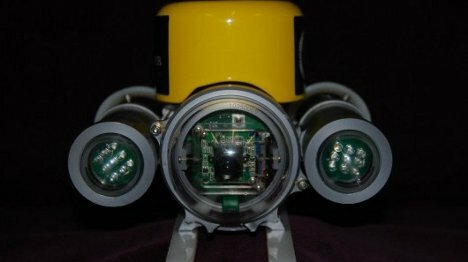 The camera mounted inside the tethered mini-sub gives players a first-person view of the action. 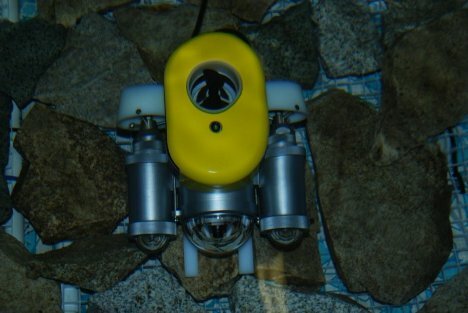 The sub is located inside a water tank filled with rocks, decorations and “clues” about the sinking of a fictitious ship. Players can spend their two minutes of pilot time driving around aimlessly and flashing the sub’s headlights, or they can search for those clues. In future iterations of the game, players will pay for their time and earn free playing time by finding clues and answering questions. 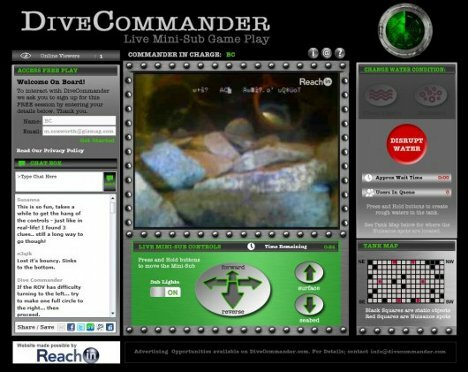 Reach-In hopes that the game will someday be used by public aquariums to raise public support and funds for their projects. See more in Gaming & Geek or under Gadgets. June, 2012.